The annual Easter Walk around the block took place today followed by an Easter egg hunt in the school grounds organised by the Parents Association. They also had an Easter Egg for every child. 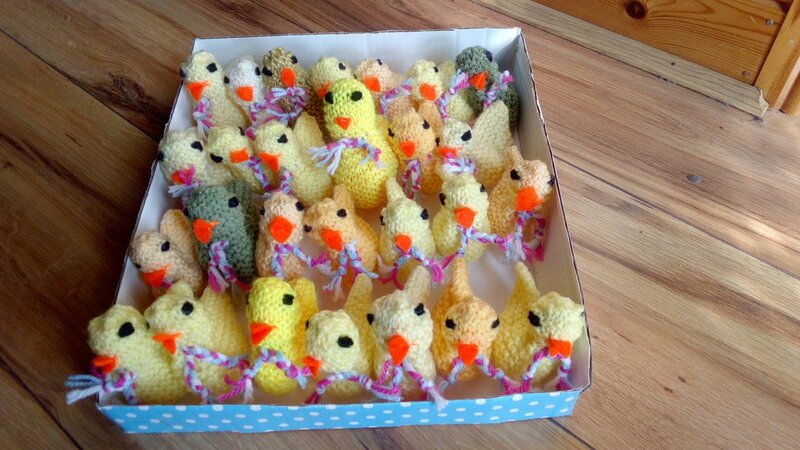 Thank you to all the parents who helped out and to Carolyn for knitting beautiful chicks with a little surprise for all the Infants! Thank you to The Order of Malta for providing support also on the walk. Workshops will begin on Wednesday 1 st May for 1 st to 6 th class pupils for 4 weeks. The cost per pupil is €5.00. The programme this year consist of 2 weeks of drumming, one week of the Polynesian slap dancing Sasa and a week of Indonesian music and some rhythm games. Our Junior and Senior Infants will also get the opportunity to try out the programme on 1 st May (1 week only) and will cost €1 per pupil. We thank the Parents Association for subsidising the cost of this activity. There will be a non-uniform day at the school on Thursday 2 nd May in support of Solas Waterford and South Tipperary Home Care Team. Maura Barrett will conduct a workshop with children 3 rd to 6 th class on the theme of “Flower Power” on 2nd May. Enrolment Forms are now available at the office for parents who wish to enrol their children in Ballyneale N.S. for September 2019. Enrolment Forms are now available and must be returned to the school by April 28 th . Maura Barrett will bring 3 rd to 6 th class on a history trail to Kilmurray Graveyard on 10th May. Thank you to Mary Blanchfield who came into the school during the week to do flower arranging with 5th and 6th class.